Whether you are a parent of a child in a public, private, or homeschool, I would like to share with you today what will be a short series on some tips on how to overcome doubt and adversity despite the worst year of your life. This is not a guide to see life wearing rose-colored glasses. Though my life is scattered with several hardships, today I am going to share how my worst teaching (and probably worst parenting) year ever has made me into the wiser and smarter parent I am today. First, I will take you into my story. The year? 2014. I will share with you what happened as a whole and how it affected me. On my next post, I will share with you how, following the dreadful school year of 2013-2014, that summer I read a book I had no idea would change my understanding of who I am, where I came from, and where I wanted to go. The book was about Helen Keller (the blind and deaf girl) as told by her TEACHER. In it, there were had so many epiphanies on how not just to help my kids….but me. I am reading it for the second time now and am still blown away by how her teacher struggle is so relevant to all parents today. Here’s the setup. It was my second year homeschooling. I was teaching 2nd grade to my seven-year-old daughter while also learning to manage a one-year-old toddler. I think I recall our homeschool year began happily with our usual scavenger hunt to ring in the school year. But soon math was a nightmare. My daughter fought with me or whined about some part of it nearly every day while my son would scream at the top of his lungs begging for someone to pay attention to him. I quickly learned that my daughter considered subtraction as her enemy – and therefore, since I was making her do it anyway… I also became her enemy. I was losing my joy – fast. One day I even videotaped our lessons to show my daughter her behavior… except… yikes! I was so depressed to see the look of numbness on my face – I never showed her. No excitement was in my eyes. Worse yet… I had lost how to discuss math with love. My tone was business only… yet I also felt bad for the reflection of me on the screen. That lady looking back at me was SO TIRED. She was out of options for getting such a smart little girl, completely capable of learning to stop being so stubborn! She could not see that she was against herself. I could see that inside her she could do it! I had to turn the video off; it was too dreadful to watch us both suffering. I then thought to myself… I was a straight-A student in math in school. In my background, I had tutored math to the most troubled student to the smartest student. Why was my daughter, who I loved more than life itself, so unbelievably HARD? My house was a nightmare. I could never get things clean after feeling so defeated in my lessons. The mess negatively affected my husband, who was experiencing a new level of stress at work. It was a snowball effect of disaster. By Christmas, we decided we needed a vacation! Actually, I wasn’t sure a vacation would help. I was ready to throw in the towel and put my daughter in school. I thought surely she could learn from someone – just not me. But as I prayed, God kept showing me the word “faith.” Everywhere I went I saw the word. When my husband brought me home a new car, the Hyundai “Santa Fe,” which is “Holy Faith” in Spanish… I knew God was telling me not to give up. His word to me that kept popping up over and over was “faith.” It seemed clear that it was not just about school, but also to focus on having “faith” for the incoming 2014 New Year. So casually, I thought…”Thanks God!” I mean, who couldn’t use more faith? And yet I also wondered why I needed more faith… because I am a person who tends to already look for the best of things. But the funny thing is, I know that God both prepared me and must have had a sense of humor. People! 2014 was like the year of Job for me!!! God was SERIOUS. He didn’t cause what was to come. I think He was telling me to have faith because that year would be like a series of hailstorms, hurricanes, and tornadoes all together!!! We went to Disney World! Yippee, right? No. Head on over to my blog post for how I survived and thrived after that trip. When we came back, I was shaken, but not overcome. But by March, things both for me at home and for hubby at work, became closer to hell, or so I thought. I became scared about how tired I was. My doctor increased my thyroid medication. Didn’t work. I then saw a new doctor who put me on Naturethroid. I seemed to stabilize. Well, turns out Naturethroid wasn’t weapon enough to combat my daughter’s attitude, nor my son not sleeping, nor the stress of my husband dealing with a nightmare employee. By the end of March, my adrenals were shot. I was scared. By July, my doctor agreed that my adrenals needed help. I detoxed my liver. Seemed to be stabilized. Seeing a pattern here? Crash. Stable. Crash. Stable. On some days I was able to cope with all the adversity. On other days, I just wanted out. To go somewhere on a mountain and scream. But because I felt God had signaled me before the year started to have faith, I was able to hang on spiritually, though I was physically weakening fast. I knew God heard me. I also felt His presence despite arrow after arrow coming at us month after month. On July 13, 2014, I found a lump in my breast. I made another appointment back to the doctor the next day, who confirmed that she also felt a lump. She seemed concerned and immediately scheduled me to have a Mammogram three days later to determine if the lump was malignant or benign. Those were the longest three days of my life. I did not want to call my mom and worry her. I felt like I couldn’t breathe. I felt like the past year of fighting over math with my daughter was wasted time. What if I died? Who would teach her about the heart things of life? What about the birds and the bees talk? Who would be there for her? Of course, I worried about my son too. But I was more worried about the things a mother and daughter should do that we could be cut short on. However, it seemed that every moment that I felt panicked, God would send someone to pray for me or something to encourage me. I remember driving home from the doctor that day and just breaking down in sobs at a stop sign. In between my sobs, I could hear a song on the radio come on in that instant with words as if from God to comfort me. The next day, I took my daughter to a playdate at her friend’s house. Her mom and I were also friends and was someone I could rely on to earnestly pray for me. She heard my story and as we both got on our knees and prayed for our families, she also prayed for complete healing for me. On the third day, July 16th, I finally went for my mammogram. I was so terrified. I left our kids home with my husband so my daughter would not worry about me and I would not have to explain to her why I was there. All alone, I waited for my name to be called. When it was my turn, an older nurse welcomed me with a caring voice. She saw the fear in my eyes and got a warm blanket for me to put on my shoulders. She asked me to locate the lump. But when I looked for it, I could not even feel it. I invited her to check. She couldn’t feel it either! I wasn’t phased that not feeling the lump meant anything at that moment. I only thought it had moved or that I was too nervous to locate it correctly. She left the room for a few minutes and consulted with doctors. She sweetly smiled and told me that if I couldn’t find the lump and she couldn’t find the lump, then there was no use in putting me through the mammogram. However, the doctors all agreed that an ultrasound would indeed locate any suspicious matter. As I was on the ultrasound table, I slowly began to realize that the doctor wasn’t finding ANYTHING. He said that there was NO lump whatsoever – anywhere. But when he said everything looked NORMAL, I was in amazement! Wow! God had healed me! No lump! Which meant no cancer! Words cannot express my gratitude that the lump had disappeared. I felt in that moment that this was the climax of my year that God had been preparing me to stay the course. To keep the faith. I could have easily fallen apart long before. But He held me up even to the moment. I also felt it was ironic that I had been spared such a potentially serious diagnosis. In fact, that very day I found out my lump was gone, a friend I had known for several years, who was my exact same age and also had a child, was diagnosed with breast cancer and is still suffering as I write this. So many people I know are struggling with cancer or have lost their battle. I would wonder to God – Why Me? Why was I spared? I will never know but I am in some way thankful for those scary three days. I got to wear the dreaded shoes to the oncologist area and to realize all the millions of terrifying thoughts that go through their minds. Perhaps I live to be their voice? But mostly, I think it is to testify that God still heals today and to share His power! He’s powerful y’all! And He cares about YOU! Some questions I still had. After such a rollercoaster year of huge dips and short periods of normalcy… was my family in the position to remain a homeschooling family? Honestly, I can tell you that I was NOT ready. Yet all I continued to feel was God’s continual urge for me to continue to have faith. (For real, God?) My main focus for the rest of that summer was to rest in Him. He was not releasing me from my calling to homeschool my daughter. My health recovered, my lump was gone, and my husband’s job situation were all regenerated. Whether I could reach my daughter in her math? That was a matter I left for God. I also learned that year to that I will never assume that I know what God intends. What I thought was going to be a happy go-lucky year of “Faith” really meant for me to be faithful in every situation. I feel God would say not just to me, but to all: “Seek Me, despite anything. Follow Me and I will uphold you.” He did just what He promised. Be Thankful! Even in the darkest of times, a great idea is to find at least three things to be thankful for. It only takes one good moment to change your circumstances. Even if it is just a little thing… when we focus on being thankful, we align ourselves more with God’s goodness and are less likely to miss the times He carried us in the day. Surround yourself with scripture. During this year, I couldn’t always get to my Bible. But I would be reminded through friends or in the oddest of places verses to encourage me. Can I pray for you? Please post in the comments how I can pray for you. Do you have a story you’d like to share about how you survived an awful year? I’d like to hear it in the comments too! (to be continued)… stay tuned for tips I learned that year to regain our household and homeschool joy. A friend recently asked me how I have time to clean my house when I homeschool a second-grader and a toddler entering the terrible twos. I don’t have time to clean. I DO NOT LIKE cleaning. But I have learned to make time. This past school year has been a roller coaster of schedule changes. 1. The first quarter I literally did not know how to clean because I was so overwhelmed by so much. 2. The second and third quarters, I decided that we would clean during the mornings and then I would teach my daughter during my son’s nap time. This worked okay for me. Except we couldn’t be consistent with keeping the house cleaned AFTER school. Which means, this method was not really working for anybody. 3. The fourth quarter (now), we have decided we are going to have a better bedtime and wake up schedule in this house. We have been waking up and getting ready for the day, and reading our devotions during breakfast. Then school begins and is over before 11:30 a.m. Lunch is at 11:30 a.m. Any remaining school is finished. By 12:30 p.m. we are done and ready for cleaning. Nap time for the Mister is around 1:30-2. During his nap, Mommy and daughter time commences along with any other things we need to pick up. Snacks. Dinner. Baths. Bed. If you know me, you know that cleaning is a constant struggle for me. That’s why I was delighted to find Shaklee’s GET CLEAN line in 2010. I was overcoming extreme fatigue at the time. How would I clean when I was so tired? When I finally got to cleaning, my lungs would react horribly to the fumes while cleaning my shower. I had to literally wear a face mask just to do the job. Since using the entire GET CLEAN line, I can even feel comfortable having my toddler help me with the laundry and dust my counters. I love the fact that stains from blood, to grape juice, to grass – all come out of our clothes with minimal effort. I love that I can get mildew off my shower without holding my breath with Basic-G and that Basic-H does everything else from cleaning my vegetables, to getting silly putty out of kids clothes, to cleaning my counters…. and I’ve had the SAME 16oz. bottle for 4 YEARS!!!! FOUR YEARS! That part seals the deal for me, not to mention it would take $3,400 to get the same clean from other products that make my lungs feel like they’re crumbling. Or the thought of how many bottles I would be wasting. Or, more importantly, my time being wasted just going down the cleaning aisle of the store to replace a bottle. When, at home, I just make a new bottle whenever I need it. I was also amazed by how many kids are affected in our schools by these cleaners constantly around them. 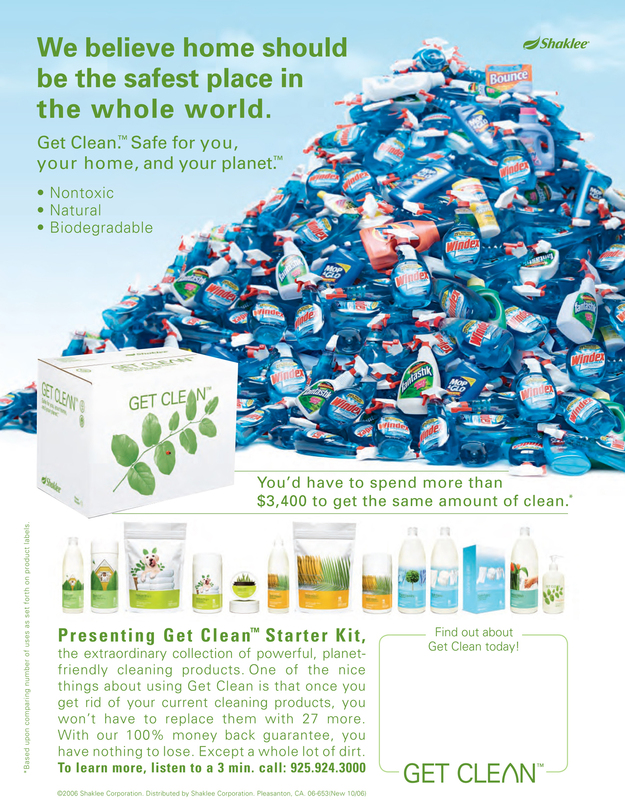 So many cleaners today are directly related to allergies, asthma, autism, ADHD, and more. Shocking too, was the fact that stay-at-home-moms were the most likely to develop cancers due to the fact of toxic cleaner usage alone. Please leave a comment and tell me how cleaners have affected you. I am so accustomed to green cleaning now, my nose will detect Windex from the other side of the room and make me cough. I am constantly changing how I clean my house, but am thankful I can always rely on Shaklee. Last week, I shared our family nightmare story how our Disney vacation was pretty much not what we intended and how I relied on my natural medicine cabinet to get us through. Unfortunately, the severity of my symptoms combined with the fact that I was determined not to have what was in my chest, move to my head, convinced me that I had to also resort to a Mucinex tablet. Ugh. I was bummed. Ironically, I was praying and wondering about when would be the right time to remove my 21-month old toddler from his last weaning. I just didn’t think it would be during vacation. At least not the way it did. There were a few nights in the month where he had gone to sleep without nursing. So I knew the time was coming near. I realized that there was really not much of a nutritional benefit for him to keep nursing, he just depended on the time to get drowsy. Being sick in a hotel was not the time I was thinking about completely ending our nighttime routine. I was sad because he was sick too… and wanted his only nursing to help him get better. The more I thought about it though, the more I realized that I would be suffering and would delay my recovery. Sigh, if mom is not well – it delays the recovery of everyone else too. What a vicious cycle. So I felt I had no choice. This it how it went. On the first night, I nursed him for 3-5 minutes when I was due for my next Mucinex dose. By the second night, I found that the same instrumental music that helps my 7-year-old to sleep, might soothe him, if I bounced him on the bed. (This is dreamy music folks, and a lot of it is in Latin. Ties in well with the Latin with our Classical Conversations community, but anyone would love it.) Surprising though, was that not only did he like the music – he was SINGING along with me in his Latin toddler mumble until he drifted off to sleep! It was BETTER than nursing! He even slept all night long in the hotel without waking up… something he doesn’t do at home. 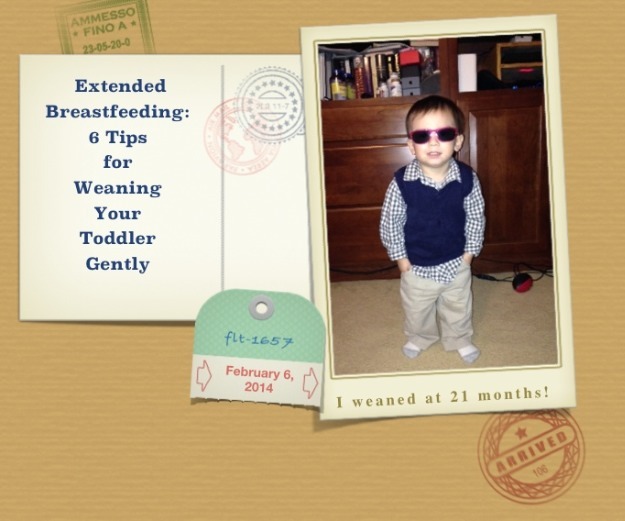 If you are having difficulty weaning your baby, don’t panic. I had never planned to nurse this child past 13 months. With my daughter, I planned to nurse through one year old and succeeded in going to 13 months. However, my son LOVED nursing. I didn’t mind because he is my last baby. But by the time he turned 18 months, with no signs of him weaning… I started to freak out. Family started questioning why I was still nursing, which didn’t bother me. But when I could feel the health of my thyroid begin to suffer, I knew. It was time. 1. Understand there is no rush. Your toddler won’t be nursing until college. Just like you knew that nursing was the best source of nutrition for your child, you’ll know when to stop. Don’t feel pressured by family who do not understand your extended nursing. It is perfectly normal to nurse into toddlerhood. Breastfeeding is one of the most effective ways to ensure child health and survival. If every child was breastfed within an hour of birth, given only breast milk for their first six months of life, and continued breastfeeding up to the age of two years, about 800,000 child lives would be saved every year. 2. To Wait or Not to Wait. Deciding when to start weaning can be tough. Until your family schedule is free from major trips, holidays – anything that is stressful in your life – wait – so that you can be consistent with your decision to wean. For me, I would find that if something stressful was happening in the week and my son’s very loud cry increased my stress, that I would cave in and nurse him just to make life calm for me. Due to my son’s overpowering personality, I knew I had to be ready to get my game on and be ready to stick to my guns no matter how he acted. On the other hand, perhaps you have a child who is so easily distracted that a weekend away may make the whole process easier and quicker for you. You will know what is best for the personalities of you and your child. One sign my son gave me was that he was able to point to himself and say his name. And then point to me and say, “Mommy.” This showed me he understood we are two separate beings. He is not another part of my body. He is his own person. He is a big boy. 3. Take One Feeding out at a time... even if it is over a period of months. I recall that around April 2013, when my son turned one, I was still at five feedings a day: Waking, Morning Nap, Afternoon nap, Bedtime, and Middle of the Night feedings. I actually thought he wouldn’t notice if I just cut out the first three and just kept bedtime. Oh boy. He was not happy. Neither was… *ahem*, my body. We naturally moved to three feedings after his morning nap phased out. How to cut the others was harder for me. 4. Replace missing feeding with a Shaklee Meal Shake or a Shaklee Life Shake. I realized the main reason why I was having a difficult time was that I didn’t know WHAT I would use to replace my son’s nursings. I found out that my daughter was lactose intolerant when she was 2.5 years old. I did not want to even try to wean him with cow’s milk. I was able to get him to like Almond Milk if I flavored it with vanilla extract. But I was bummed that the Almond Milk was nowhere near the calories for the amount of breastmilk he had at a feeding. There was no way I wanted to use formula from the stores. The amount of protein they offered was laughable. It was also unlikely he would take to it because breastmilk is so sweet. It then dawned on me. 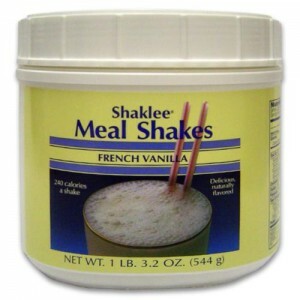 The Shaklee Meal Shake would be a great replacement (please also see below about other options as well)! Coming in Vanilla and Cocoa flavors, they are whey protein and no artificial anything and Gluten Free. They are as yummy as a McDonald’s milkshake. And it offers 19 essential vitamins and minerals and 7 grams of protein. I tried it the next day with his almond milk. My son LOVED IT! I then immediately tried having him drink one before his afternoon nap and just sing him to sleep. Bingo! It worked! Now is a great time to try. Any 50 PV purchase made with The Whole Deel gets FREE lifetime membership pricing AND will receive a FREE canister of the Cafe Latte Life Shake listed below. Offer has been extended to March 31st, 2014. I was down to three feedings by December. Waking, Bedtime, and Middle of the Night. His sleeping patterns were horrible and he wasn’t eating well during the day. I suddenly realized that this was because he was eating all night long, so of course he wasn’t hungry during the day! Middle of the Night feedings were the next to go. (Stay tuned for this description when I post about overcoming poor sleep habits). Setting a schedule seemed the best way to cut his middle of the night cravings and prepared for my next elimination: waking. If he went to bed no later than 8pm, then he would do better lasting through the night until breakfast. If he woke up at the same time every morning, he would eat a better breakfast and forget about wanting to nurse. You may choose to cut bedtime first. It all depends on your child. This tactic I also had to use when we cut out our final bedtime weaning. I explained to him that Mommy had a “boo boo” while pointing to my chest. He seemed to understand. As mentioned earlier, music is also a great distraction – especially at bedtime. 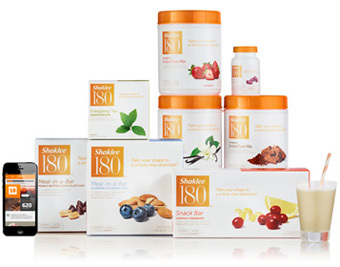 My kids love all four flavors of the Shaklee 180 protein. And it’s great even for kids because it signals their body to build and retain lean muscle. Now that your baby is weaned, it wasn’t that bad, was it? Please tell me your stories. If you are confused at the order of my eliminations, I listed clearly at the end of this post. I am happy to have more energy and feel I can be consistent again in the rest of my life. We have loved the Meal Shakes by Shaklee to transition from breastmilk. However, currently, we are transitioning to the Shaklee 180 Smoothees because of their higher protein content and the complete 9 amino acids that our bodies need. My kids like both the Soy and the Whey. Note: Although this is in Shaklee Weight Management line, there is no need to fear for kids! It is all natural and the main reason it helps you to lose weight is because when you have more lean muscle, your metabolism works better! So if there is no fat to burn, you will just maintain lean muscle. My kids are strong and healthy and this is in no way a “weight loss” or management shake for them, but more of a way to get a high protein and fiber in them that is helping them build muscle – even at a young age! Gluten free, 99% lactose free. 2. Middle of the Night. Previously, I discussed that our family’s only chance of overcoming sickness quickly on our vaction in Florida, was my natural medicine cabinet that I brought with us. Below are the products that I am thankful were packed in my travel bag for both adults and children. A little homeopathy also helped us recover and is listed below with an (*). I will be real folks, that this illness was so bad I even resorted to taking Mucinex along with below arsenal. Usually at home, I would have had my entire get better center. I was afraid we would miss our flight home if I didn’t do something available at drugstore too. efficient with 29 vitamins and minerals to activate body cells to rebuild and be strong and healthy. I’m not talking about the garlic you find at your local grocery store. Not only is it powerful, but is so warming on your chest when swallowed because of the spearmint oil and rosemary extract it contains. I can’t live without this if I feel I’m getting sick in the least, and especially – as was the case for us – if a cough is coming on. Did you know that garlic is sometimes referred to as “Nature’s Wonder Drug?” It is a powerful antibiotic that fights off bacteria, parasites, fungi, and viruses. Studies have even shown it is more effective than penicillin in some cases. It offers aid as a decongestant and expectorant and as an anti-diarrheal. Shaklee Sustained Release Vitamin C has a patented release system on it so that it releases C slowly over a period of 6 hours so that your body can absorb and utilize all of it. In other words, it is like eating 1 1/2 oranges every hour for 6 hours!!! That is some good immune boosting!! You can get the Sustained Release Vitamin C individually (I have a bottle on hand at all times). I just learned that whenever sickness is coming on, taking 2 every 2 hours till it passes, will quickly heal. Or you can also get it in a foundational nutrition pack that is a 30 day supply of all the Vitamins and Minerals you need called Vitalizer. There is Vitalizer for men, women, and 50+. Both my 1-year-old and my 7-year-old take these Chewable Vita-C. We love them! Important Note: Vitamin C cannot be made or stored by the body. It is a water soluble vitamin, which means you need to get it every day and in the right amount. A cheap vitamin brand will boast of large quantities of vitamin C per tablet, but the problem is that your body can only absorb so much C at a time (you can “train” it to absorb more and more at a time the longer you take it). This means that when you take these type of vitamins, you are getting a little of the C, but the rest is passing right through, unabsorbed. So basically you are paying for really expensive urine! Every person in my family took this from my 1-year old to my husband. Great for that first tickle. Elderberry and zinc are both present to knock the germs out. Active Ingredients: Echinacea to take care of bacteria and Larch tree extract to attack viruses. Use as a preventative when flying or in large gatherings of people during cold and flu season or anytime you come in contact with allergy activators. For most of my life in the winter, I had woken up every morning with a sore throat, as a result of congestion. However, I learned how to eliminate this and nearly the ability to avoid sickness by simply crushing up the zinc tablet and placing it in a spoonful of honey every night before I go to bed. The tablet is easily swallowed whole, however I have found that the crushed up version leaves a thin coating of protection on my throat so that I wake up without any sore throat or drainage problems at all. Zinc is involved in the production of every hormone in the body. This is another reason why I take zinc every night. It aids the body in fighting auto-immune disorders, such as my underactive thryoid disease, Hashimoto’s. Study after study has shown that Vitamin D is not only necessary, but it only works at its optimum when presented as cholicalciferol, as Shaklee does. My own testimony with Vitamin D is that I took the Costco brand and was finding no improvement in my bloodwork to move to the normal range. Within 2 weeks on Shaklee Vita-D3, my numbers moved to normal. Further studies have shown that Vita-D3 also plays a role preventing the flu and may be as effective as receiving a flu vaccine. Children may also take this by simply smashing it into a powder and put in applesauce. *Homeopathy also helped us recover. For a sore throat where the pain is felt in the ears, Boiron’s Roxalia Tablets help. For our 1-year-old, I had not packed anything at all and used Hyland’s Baby Cough Syrup. I was very pleased at how it worked. What is the Shaklee difference? You can feel comfortable giving these products to your children. Because for over 50 years, generations of families have counted on us to do what no other company can do quite like Shaklee–made products that are naturally safe AND proven effective. Now, is the BEST time ever to become a Shaklee member! Any person who joins by February 28th, 2014 with an order of 50 PV or more not only gets their membership fee waived ($19.95 value) but also receives a free can of smoothee ($45 retail value!). Offer valid through Feb. 28, 2014. An order with 50 PV (Point Value) must be placed at the time you join. Applies to join orders placed online and at the Shaklee Sales and Training Center in Los Angeles, CA. Join orders placed through the call center. This offer is not retroactive. Free product available while supplies last. Free product subject to change without notice. Every Wednesday, I will write a review on a new App that I find either necessary or that has dramatically changed the quality of my life or has made a difference in the education of our children. Each app posted here MUST be either 1) free 2) cheaper than dirt or 3) its price is worth more than gold. Today, I am going to talk about the new Shaklee 180 App that is FREE with either the Shaklee 180 Turnaround or Lean and Healthy Kits. This app contains so much that I won’t be able to cover it in one post. So here, I will give a general review of what is inside and how it is effective. I will go into greater depth in future posts on each area. 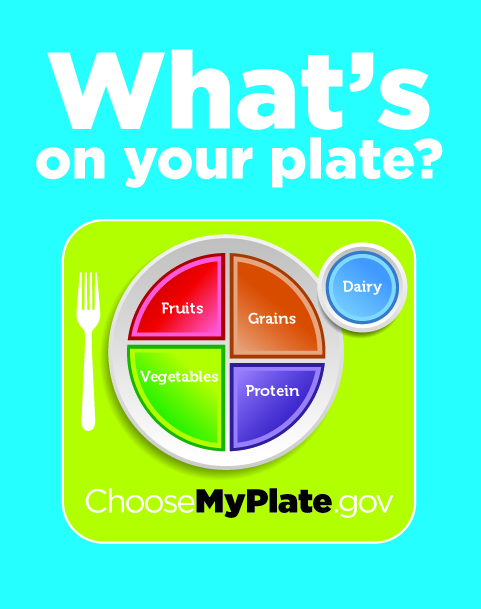 First and foremost, the app provides a way for you create a customized nutritional plan, serve as a food recorder. Secondly, it also contains progress logs to keep you at your goal – but also awesome – will win you prizes! But perhaps the coolest part, is that when viewed on either a smartphone or a tablet, you can workout LIVE, right there! No need to turn on the t.v. and waste time or go to a gym. Wherever you are at, you can turn it on right there and be done with a workout in 3 minutes. Shaklee has done a great job to make this an app that you will truly use 24/7 and won’t just be an icon taking up space. It will track eating, inspire you to reach 180 days of health, and help you get there with an exercise plan too. What drove them to create such a tool? Shaklee understands that a healthy life most often begins with a healthy weight. Whether your goal is to lose weight or not, this app is for you. Yesterday, I posted on the many ways we can maintain a healthy lifestyle to prevent Heart Disease. However, there is a little extra secret not many people know about – studies have shown that soy protein is involved in preventing heart disease. Subsequent studies by Dr. Potter’s group further revealed that even 25 grams (approximately 1/2 cup) of soy protein daily “could result in significant reduction of cholesterol levels in those with elevated levels.” In addition, The New England Journal summarized the findings of 38, well-controlled studies on soy protein and cholesterol. 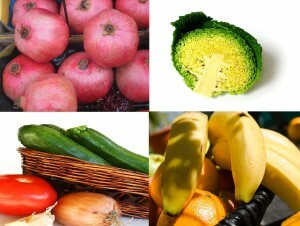 They saw a nine-percent reduction of total cholesterol and nearly a 13-percent reduction of the bad LDL cholesterol. Isn’t it refreshing that there can actually be a snack that is GOOD for you? At the start of 2013, Shaklee launched its latest, greatest tasting soy protein shake. This yummy drink contains all the 23 amino acids that our bodies need, but often don’t get every day. Think of Amino Acids as links of protein on a bracelet. They are all essential for the functions of your body. Eight of these 23 are called Essential, because your body can not produce them on its own. You have to get them from an outside source. These 8 are so crucial, because if you don’t get them, your body won’t make the other 15! Our bodies NEED protein! Make yourself a shake first thing in the morning, at lunch or for an evening snack. 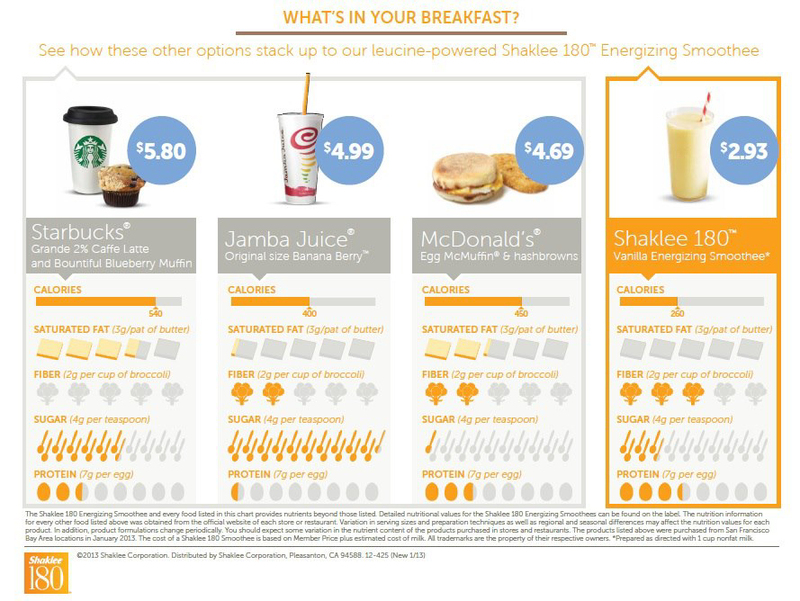 Shaklee has two types of shakes to choose from: Energizing Soy Protein, or Shaklee Life Shakes. All Shaklee shakes contain all 23 amino acids. Place all ingredients in a blender in the order listed, and mix until creamy. Tip: Serve to kids in a colored cup so they won’t be scared by the green! The riper the banana, the more the broccoli taste is canceled. This is a complete money saver and so easy! I found this courtesy of Every Day with Rachael Ray Magazine. Step 3 Line a strainer with 4 layers of cheesecloth; place over a bowl. Add half of the almond mixture; let sit 10 minutes, then squeeze out the liquid. Discard the solids. Repeat with second half. It tastes great with a Smoothee, it gives me energy, and best of all the price is right. I used to love going to Jamba Juice when I would visit California and would come back home so sad there was none where I lived. Now I don’t have to be sad because I can make an even healthier shake for half the price – at home! Preventing the No. 1 Killer in the U.S. This February I have been researching cardiovascular disease. Did you know that in 2011, Cardiovascular Disease, according to the Center for Disease Control’s website, was the #1 leading killer in the U.S? Not only that, but that it accounted for one-quarter of all deaths in 2011? And since 1935, “heart disease, cancer, and stroke were among the five leading causes [of death]” up to 2010? Sadly, in watching all of the food commercials and seeing the menus at most of the restaurants in our country, I am not surprised by these statistics. It saddens me that people don’t realize the extra work they are placing on their heart. But at the same time, I understand. You see, when the body is constantly being fed excess sugar, fat, carcinogens, chemicals, and toxins regularly – it almost expects and depends on these types of foods. The problem is… it is a horrible vicious cycle of the taste buds and stomach feeling happy for a moment. But then later, fatigue and a general feeling of sluggishness sets in. Which leads to weight gain. Which leads to a more prone to illness, unhappy, you. Today I want to talk about why the fatigue starts and how it affects your heart. In his book The Nutrition Guarantee, Dr. Bruce Miller states that the overwhelming majority of cardiovascular disease is a result of Artherosclerosis. It might seem like a word that makes your tongue tie up. But it basically means that there is a blockage in the arteries. In short, this sludge is a buildup of pulpy fat materials that become like a plugged drain in a sink with plaque. As the arteries, or “pipes” get more narrow, less blood is able to flow to the heart muscle. Eventually, this leads up to a heart attack, which often means death or severe handicap. Fatigue could be one of these handicaps debilitating your body. Today, everyone wants to know a magic pill or cure for Artherosclerosis. A better question is why it occurs. 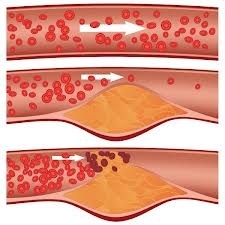 The reason is the development of oxidized LDL Otherwise known as the “bad” cholesterol, this bad boy is full of free radicals and is even more dangerous for your arteries when oxidation occurs. If we really take a hard look at it, there are some easy ways to counteract it and prevent it, period. It’s not about eating less (for most). It’s about eating smart. In fact, in 2005, the USDA decided that the old Food Pyramid wasn’t a good visual for Americans to understand what is healthy to eat. So instead, they created a new visual of your plate and what should be put on it. There is even a game for youngsters to play to learn what to put on your plate. It is not perfect, but it is a great way to show kids a diet requires a variety of nutrition. I enjoy the visual, but am not sure I agree with the visual of milk as the beverage (a topic for another day). The good news is that when you start eating healthy, your body expects to eat healthy and will tell you immediately when it recognizes an invader that is hurting it. You don’t have time for exercise? How about 10 minutes? Whether you are at a healthy weight or not, exercise is important to jumpstart the heart. You can join me in a B.U.R.S.T. (Body’s Ultimate Response System Training). Learn more here. Vitamins E, C, and Beta Carotene are all important components that work together to prevent the oxidation of LDL cholesterol. As if that weren’t great enough news, these vitamins all work together to combat the aging process and protect our immune systems. In the past, I have taken these vitamins and never felt a difference. After taking the Vitalizer pack, however, I could tell instantly a difference. So much so, that my doctor could too in my bloodwork. This formulation is specially designed to be absorbed and time-released efficiently. Plant sterols and stanols have been clinically proven by more than 80 studies to lower LDL cholesterol. Cholesterol Reduction Complex delivers the daily 100% of the National Institutes of Health’s (NIH) recommendation for plant sterols and stanols. What have you done for your heart lately? Before: 143 lbs. After: 113 lbs. I think EVERY woman can identify with Heather’s plight! I also know that no one would judge her in her situation – but probably sympathize with her – because we have all been there. And most of us would accept it as our new life. I quickly noticed a remarkable difference in both my energy level and mood. Fast forward several months and I was down to 113 lbs. and wearing a size 2! I never dreamed that I could even be that size, especially after having two kids. I’m so thankful that a dear friend introduced me to this amazing program! Her story doesn’t stop there! Her adventure led her to be the new face of Shaklee 180. If you see a beautiful girl in a pink dress or tank top on the products – that is my friend Heather! And not only did she achieve her goal, other problems, like alopecia disappeared from her life. After being scared to not attempt a 3rd child when the first two were high risk and laden with bed rest and ER visits, she is now 8 months pregnant with her third child – no bed rest or restrictions. It’s an exciting time whenever a homeschool project brings together multiple subjects we are studying all into one and uses my daughter’s gift of creativity. But when all of this happens by ACCIDENT? Oh my word! It is an absolute wonderful miracle that only God can be given the credit for! It all started with a great week back at Classical Conversations as we entered Week 13 and the Age of Exploration. Two moments in our timeline song include “Slave Trade in Africa” and “Songhai in Africa” – which are two of the most fun parts of the week to sing. Naturally, then, I decided we would study about Africa in our Story of the World curriculum. At the end of the lesson were two recipes using ingredients found in Africa – dates and plantains (we used bananas). I thought to myself… “Do I really want to do this?” “Will it be a good use of my time if they don’t turn out?” I debated and debated. Finally, I decided since we have been memorizing also in Classical Conversations, mathematical measurement conversions used in baking, that we would go ahead and try it. Something inside me told me I wouldn’t regret it. Wow! Was I ever right! 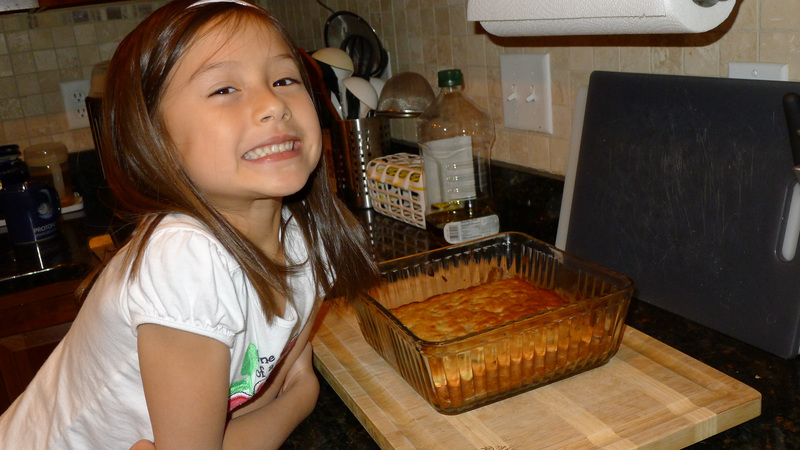 Both recipes were not only delicious, but my daughter and I bonded SO well. She was intently interested in how many teaspoons were in a tablespoon and in mixing thoroughly every ingredient. We laughed, we talked about so many topics that we wouldn’t normally have. It was WONDERFUL. As we baked, I knew it was moments like these that are why I homeschool. What time would I have with a baby to do extra baking if she were in school? How would I ever know ahead of time what she was learning to coordinate our activities at home to reinforce her learning? I just plain old wouldn’t. An added element for me as a mom was being able to substitute a third of the flour with Instant Soy Protein so I knew both of these treats were not only healthy with fruits, but also that the carbohydrates were dramatically cut and I know my little sweetie will be growing while enjoying. It was so nice to serve these to my ladies who gathered at my house later that evening. Baking, math, Africa, memorizing our Timeline, Science, hearts connecting… does it get any better than this? I treasure these years dearly. 2. Add the egg and vanilla. 4. Add the dates and almonds. 5. 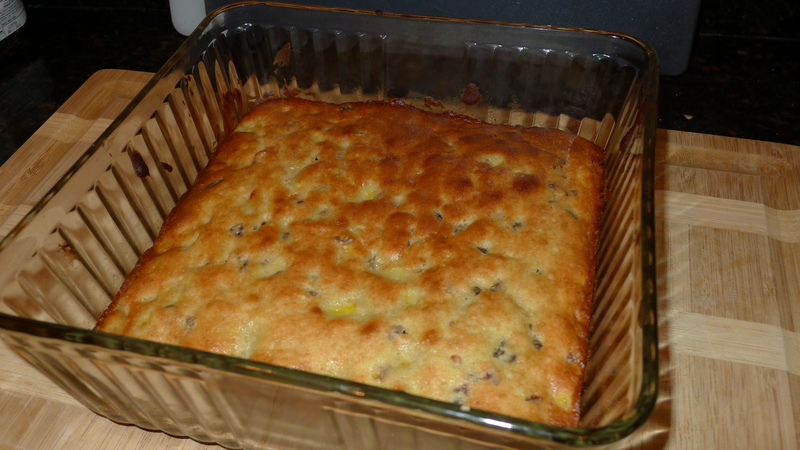 Bake in an 8″ x 8″ pan at 350 degrees for about 30 minutes or until edges are turning brown. 1. In a blender, blend eggs and dates together. Set aside. 2. In mixing bowl, combine sugar, flour, baking powder, and pecans. Add in egg mixture. 3. Pour into ungreased cookie sheets. Press the mixture down so it will be as thin as possible. 4. Bake at 350 degrees for 15-20 minutes. Remove from oven and cut into bars while hot. 5. 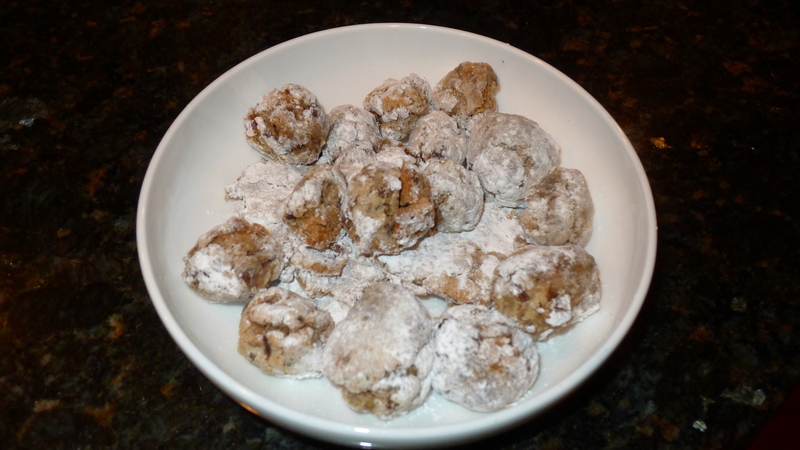 Roll into balls and then roll in the powdered sugar as soon as the chewies are cool enough to handle. I would love any comments on how you reduce the sugar. Next time I will try agave syrup and see what happens! Who knows what other great things will happen because of an accident? A New Year. A New Healthy You. How could I be wearing the clothes I had not worn since high school just three months after having my second baby? People began asking me what I was doing to lose the weight so fast. It was then I realized that health program I had been on really prepared my body to do what it should before, during, and after pregnancy. 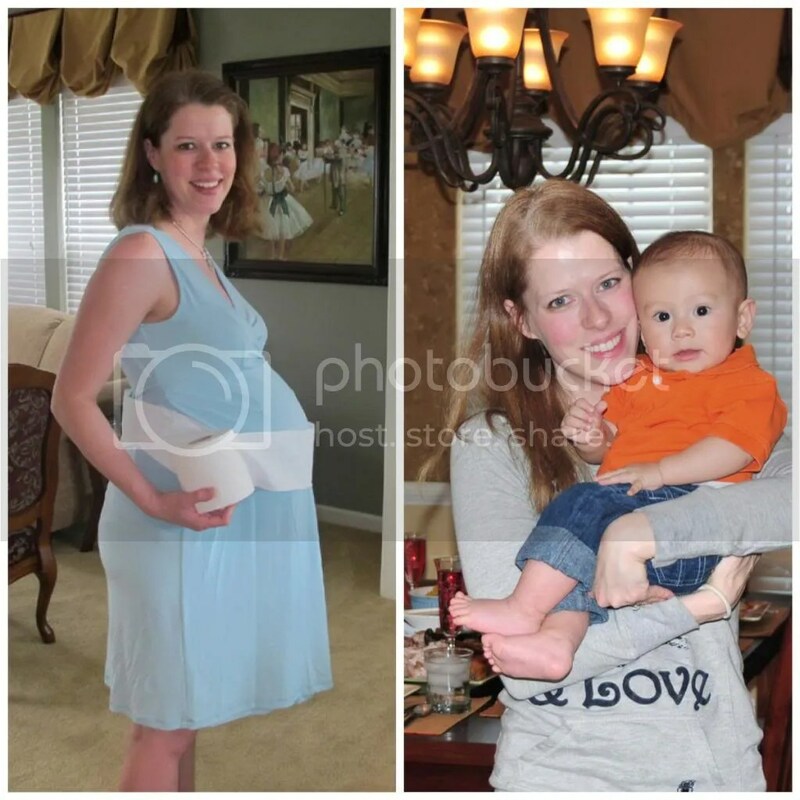 Pregnancy with my firstborn was a different story – I gained more weight and it did not come of quickly. This time, Shaklee helped me lose 38 pounds. I am so thankful a friend introduced me to Shaklee or my son would not be here today. Not only was I able to manage my hypothyrodism, overcome fatigue, and become pregnant because of Shaklee, but I know that the program I used helped my baby to be nourished with nothing but health, and I gained no extra weight than what was necessary to bring him to health. I truly see a difference in the healthy start between my children. My body is just a bonus. They only see the doctor for well checkups. Neither child has ever been on an antibiotic, and my oldest is six years old. It can happen for you! Join me! Make the New Year right! You will lose weight, or your money back. If you help 3 people, you get yours free!